An introduction to Geographic Information Systems (GIS) and analysis with basic mapping of earth science, biology, ecology and anthropology applications. <-- The recommended text for the class. Does this work without a password? 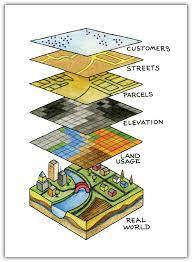 09/08/14: today's lecture materials "Intro GIS"
So... what is GIS anyway?? ?